1) We can determine the best site possible even in the most rugged terrain. Once a site is chosen and any permitting complete WHS can install most gages in a matter of days. 2) Typically, WHS conducts general repair and on site maintenance on a monthly basis unless for some reason a gage needs to be sent to the manufacturer. WHS tries to keep extra equipment in stock in the event that a gage does need to be replaced. 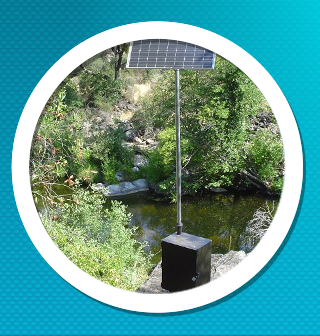 3) Water surface elevations can be measured using the gaging equipment as soon as it is installed. Until the gage is calibrated and the rating curves are developed, there is no correlation between flow and water surface elevation. Development of the rating curves requires several field measurements with velocity type current meters at a specified cross section over the desired range of flows. Once the field measurements are made, elevation versus flow rating curve can be developed for the calibration the gage. Periodic field measurements will continue to verify or modify the rating curve to ensure accurate flow records. 4) WHS uses two types of USGS approved velocity current meters. The AA type is used for average depths of 1.5’ or higher and Pygmy type is used for shallower depths. 5) WHS has extensive experience in high level and low level velocity flows. We use the Bridge board type, Bank operated or the Man operated cableway methods. 6) WHS has installed many staff gages for use as a reference to the water surface stage for gage calibration and accuracy. We have also installed staff gages with rating tables as flow indicators for Kayakers, Rafters and Fisherman. 7) WHS can help build and design most any SCADA system to meet project requirements. 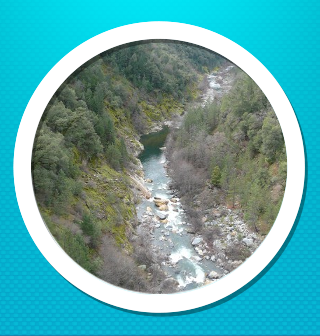 We work closely with Industrial Control Links of Auburn, CA to provide SCADA, telemetry and process control solutions to meet your monitoring, control and communications needs. 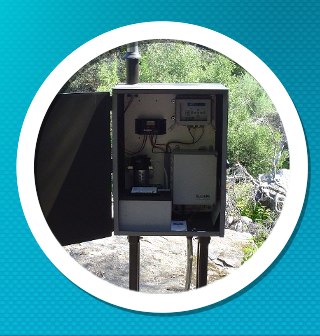 8) WHS has extensive experience installing and maintaining temperature loggers, and downloading water temperature data. We prefer to use the Onset HOBO type loggers that are very environmentally and field friendly. 9) WHS offers snow surveys in support of runoff forecasting. Our staff has experience using cross country skis, snow shoes, snowmobiles and helicopters to access snow courses. 10) WHS has many years of experience collecting and reviewing flow data necessary for FERC Compliance. The data from these gages must meet stringent quality assurance and quality control standards prior to publication by the USGS. Many of our gages are also used to measure water delivery or verify compliance with water rights application s and permits for state and local agencies.